Mr. McNeal attended Northwestern State University majoring in Business Administration; has been a business owner employing more than 100 employees and contractors; Vice President of Franchising for a National Franchisor; and a Senior Executive with companies having annual sales of $15 million to over $42 million. 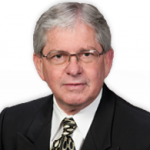 Bruce has extensive knowledge of the Trucking, Warehousing, Import and Exporting business, and is uniquely qualified to work with clients involving the sale or purchase a franchisor. Bruce has negotiated the purchase, done due diligence and negotiated with banks on acquisition financing and working capital loans in excess of $5 million for a multi-state mergers and acquisitions.